Professional athlete LLOYD ELLETT was scheduled to fight in his 23rd (20w-2l) pro boxing fight 27th May 2017 in his hometown of Brighton. After numerous times urinating and actually sweating while doing nothing Lloyd makes weight. Time 4 Nutrition Water Loss have played an instrumental part in helping Lloyd make weight. I would however advise that you don’t cut your water out like most combat athletes do the day before a weigh in. 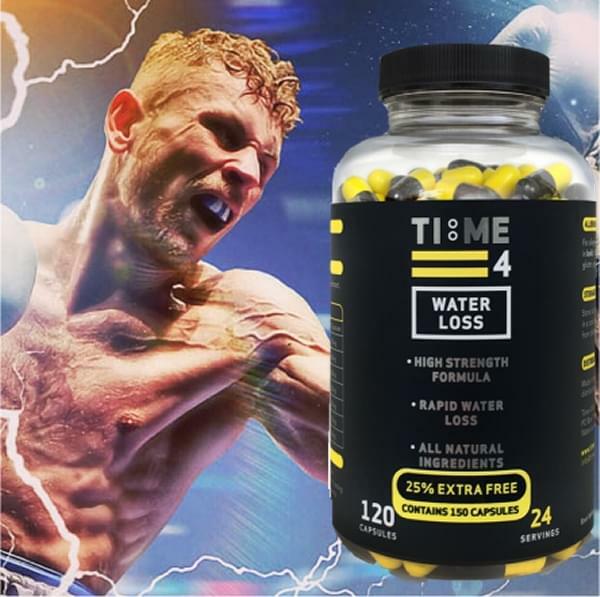 This is a very strong natural product that WILL cause dehydration, so we strongly advise that you keep you water to 1 litre per 50lb of bodyweight that you carry whilst using this product. Unfortunately Lloyds opponent pulled out on the day of the weigh in!